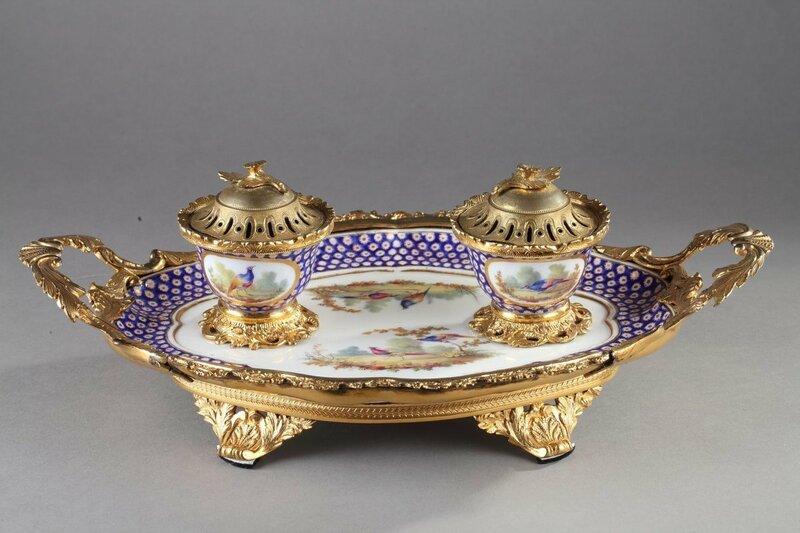 Inkstand in soft-paste porcelain of Sevres composed of a tray and two porcelain inkpots. 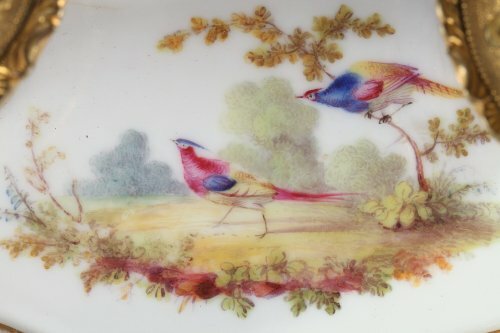 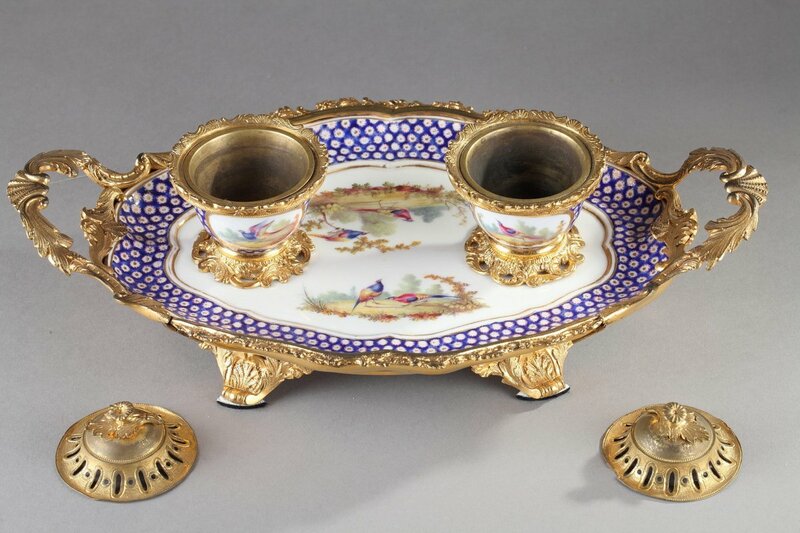 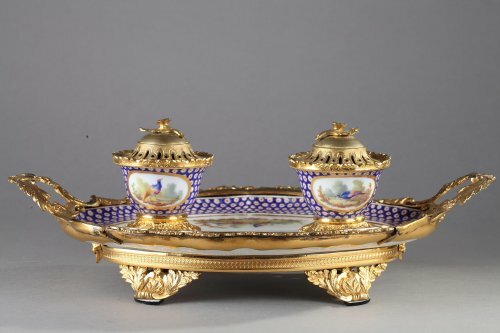 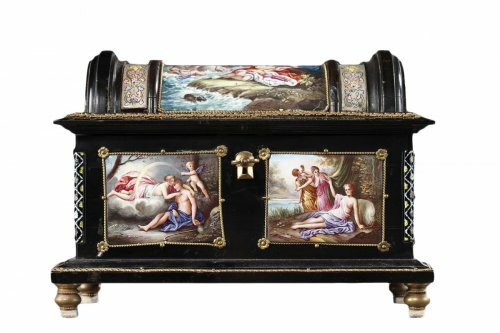 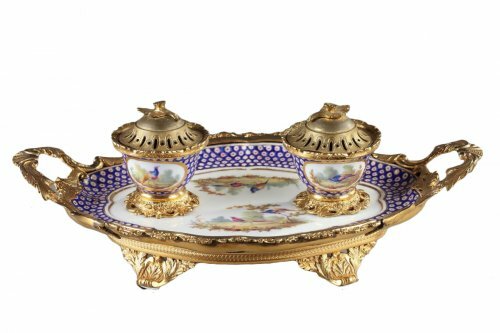 The tray and the porcelain inkpots are decorated with "partridge-eye" patterns on a blue background called "de Sevres". 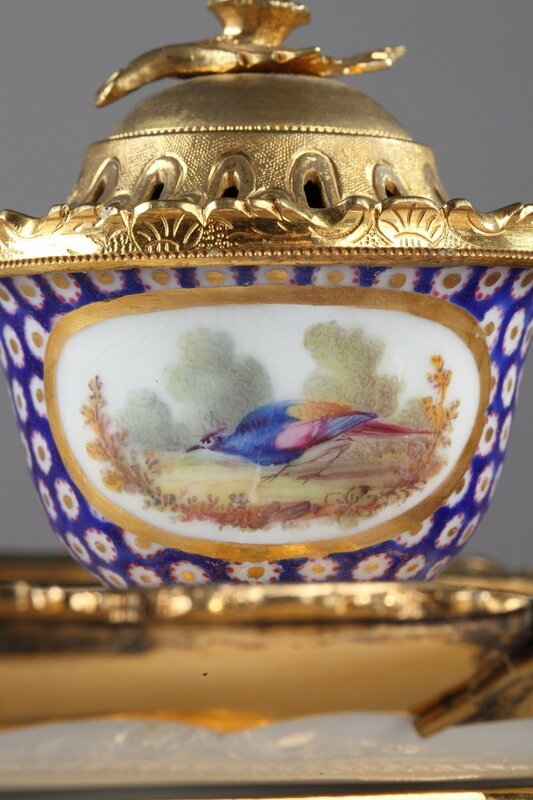 The principal motifs of the cartels represent birds in colors inspired by the porcelain of Sceaux. 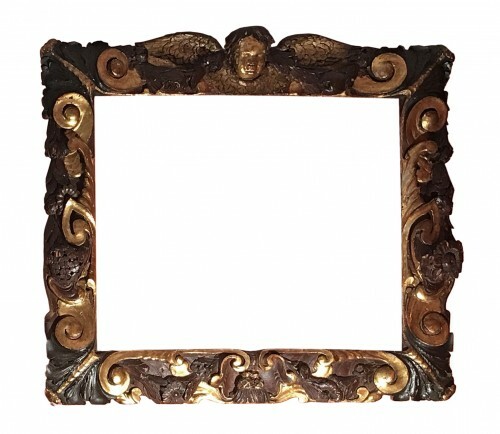 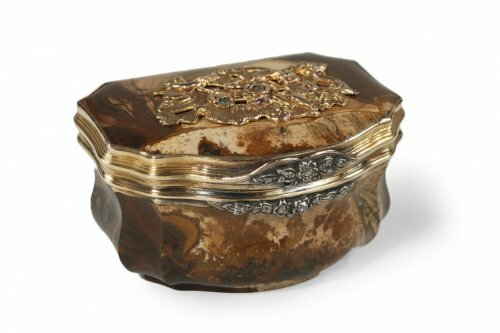 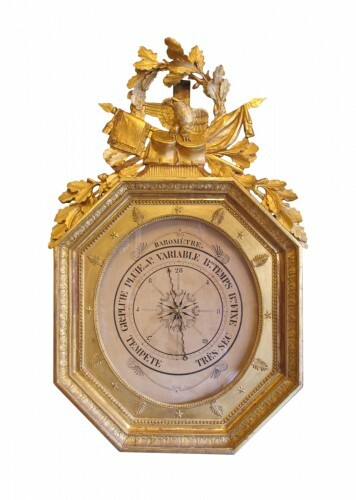 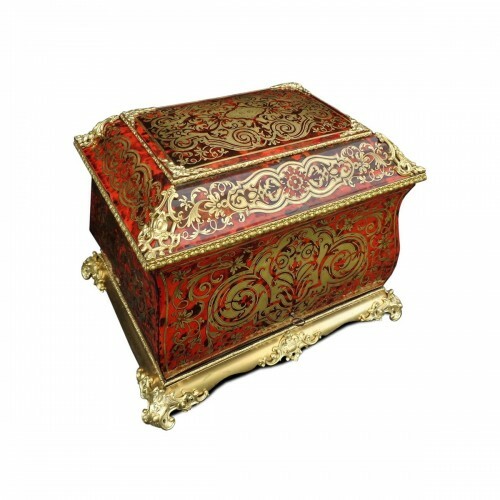 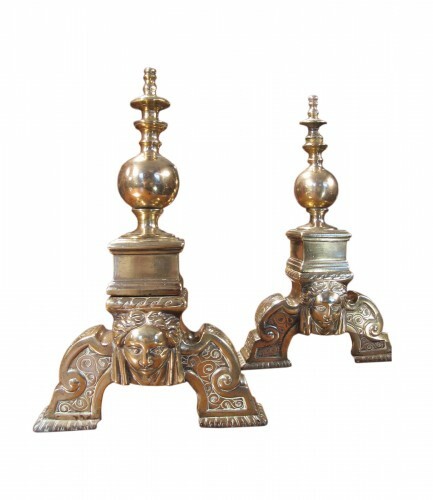 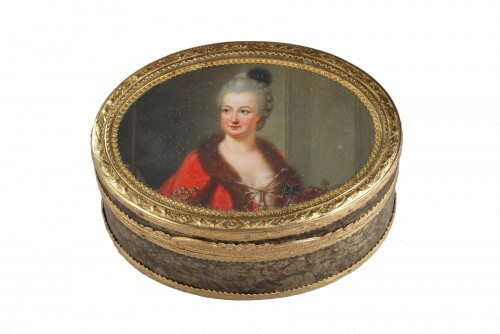 The inkwell is set in a gilded bronze frame with a rocaille decor. 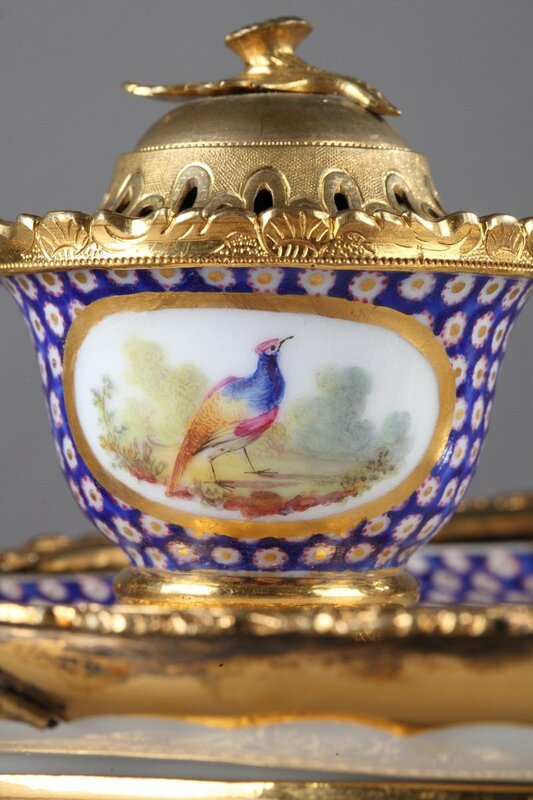 The two porcelain inkpots have a perforated gilded bronze cover decorated with flower. 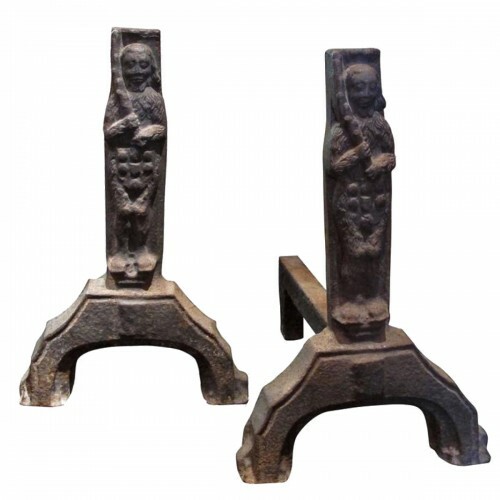 The tray with handles rests on four feet with foliage. 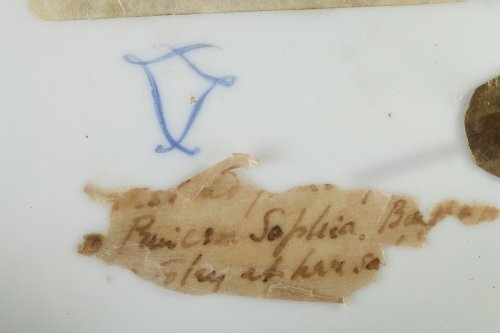 Sevres marks. 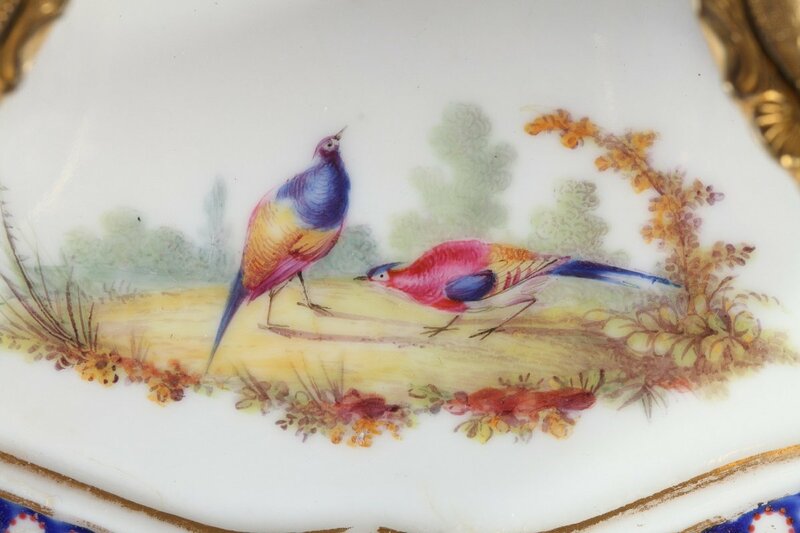 Two entrelaced L painted in blue. 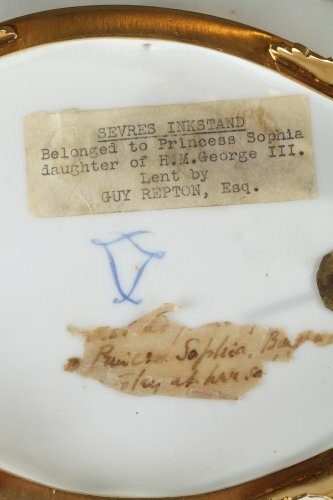 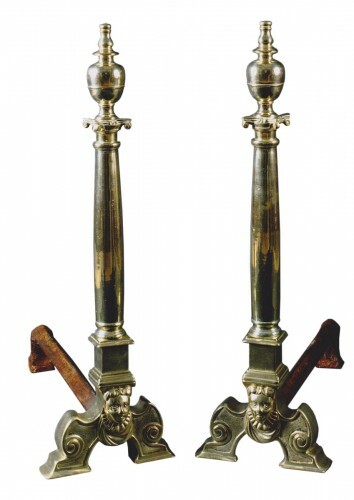 The inkstand belonged to Sophia daughter of George III.